When you’re looking for a Honda dealer near Clinton, that is committed to providing you extraordinary customer service and great deals, then you’ve found your home at Rusty Wallace Honda near Clinton. 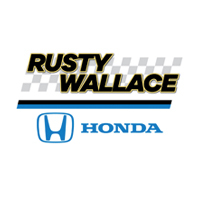 The Rusty Wallace Honda Dealership team has been proudly serving Clinton, Knoxville, and the surrounding areas since 2001. We make every effort to satisfy your Honda needs. Being an area rich in history, nature, and activities for all Clinton, TN is a stop on your Tennessee trip that will please everyone. From the Museum of Appalachia to the American Museum of Science and Energy you can spend your day learning and exploring Clinton and the surrounding areas. If nature is more your thing step outside and tour the Little Ponderosa Zoo or the Norris Dam State Park. No matter what activity you choose, make sure to stop into our Clinton Honda Dealer and take a look at our inventory. When you’re looking to purchase your new Honda, our Clinton area Honda dealership is the only place to go. At our Honda dealership near Clinton, we carry all of the new 2019 Honda models and an extensive selection of previous year models. Not only are we fully equipped with all of your Honda needs, but our extensive used car selection guarantees that we have something for everyone on our lots. Our car buying process is designed around our customers and making them feels at home during their purchase and for the life of their vehicle. Whether it’s sales or you’re coming in for service, our dedication to you and our approach to your satisfaction will remain the same year after year. Hondas are popular vehicles for a reason. The quality and dependability of Honda is what has carried its popularity across the years. There are various financing option in purchasing a Honda and none of them are limited at our Clinton are Honda dealer. Our onsite financing department will help you make the right choice for all of your Honda financing needs. Our experienced financiers are here to aid you in your car buying or leasing needs. Take a quick glance at the monthly Honda incentives on our website and contact our financing team to discuss your purchase options. Day to day driving and use leads to the need for scheduled maintenance and sometimes repairs. Whether you’re a do-it-yourself type or you want to trust the job to our trained and experienced technicians; we have all you need in our Honda Service and Parts Department near Clinton. Tire changes, oil changes, or major repairs, no job is too big or too small for our team. When you’re in the Clinton, TN area or visiting Knoxville, stop and get to know the team at Rusty Wallace Honda Dealership. We’ll help pair you with the car that fits your needs, budget, and lifestyle. Contact the team at Rusty Wallace Honda today! Explorer the 2019 Honda Accord near Clinton Tennessee. Click the link below to explore the Accord and view options, colors, trim levels and Accord inventory. Explorer the 2019 Honda Civic near Clinton Tennessee. Click the link below to explore the Civic and view options, colors, trim levels and Civic inventory. Explorer the 2019 Honda CR-V near Clinton Tennessee. Click the link below to explore the CR-V and view options, colors, trim levels and CR-V inventory. Explorer the 2019 Honda Odyssey near Clinton Tennessee. Click the link below to explore the Odyssey and view options, colors, trim levels and Odyssey inventory. Explorer the 2019 Honda Pilot near Clinton Tennessee. Click the link below to explore the Pilot and view options, colors, trim levels and Pilot inventory.